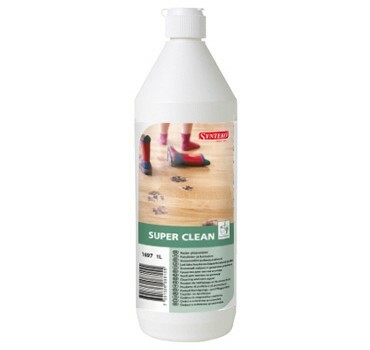 Synteko Super Clean is a wax-free combined cleaning and care agent with a high cleaning effect and an adapted care effect. The product is suitable for hardwood and cork floors treated with Synteko finishes. It leaves the cleaned surface a thin, silk matte, lime-free, non-skid, antistatic care film, which is dissolved and renewed the next time the floor is washed. The film improves the wear resistance of the finish and keeps your floor beautiful. Visit the Synteko Australia online shop for all your floor maintenance needs. Free Australia wide delivery for orders over $75 in total (or $10 flat rate for under $75). Purchase all of the key Synteko products for cleaning and maintaining your valuable wood flooring. We ship anywhere in Australia for a flat fee, with free delivery for all orders over $75!